During my first trip to Europe a few years ago, I asked a well-travelled colleague for the must-eats and buys in each of the country I would be visiting. Belgium waffles, cheese fondue in Switzerland and chocolates from both. The Netherlands is known for its potatoes (tried the fries while I was there and bought its chips back) and stroopswafels while I should not miss France's croissants, escargots and foie gras. 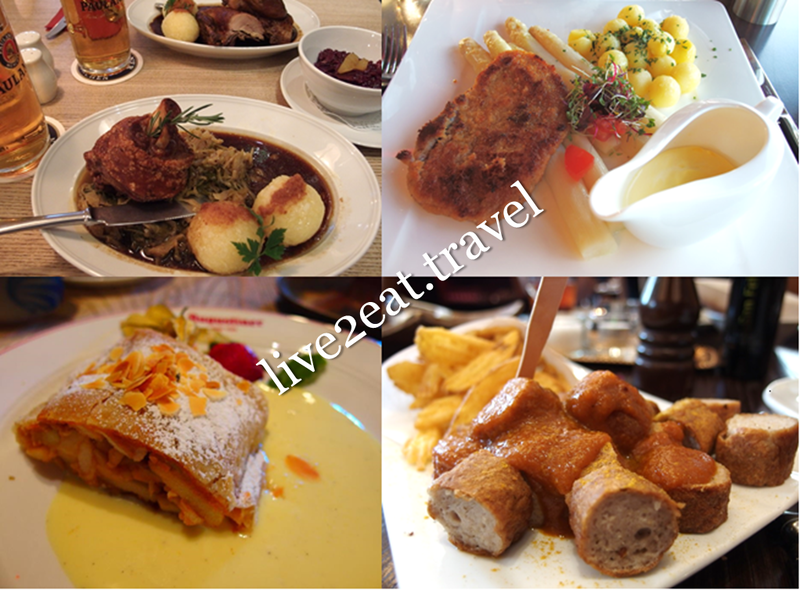 "Try pork knuckle, schnitzel and apple strudel in Germany", he said. So I did, and fell in love with schnitzel – preferred pork to chicken to veal, and apfelschorle. Do not mind pork knuckle, sauerkraut and apple strudel though am not a fan of bratwurst. My recent trip saw me trying value-for-money bratwurst bun from a street vendor and two-Michelin-starred Fischer Fritz, both in the German capital. Those who knew I made reservations at the latter asked me, upon my return to our sunny shores, how my experience went. "Good", I replied, "but it was not my only good meal." There were a few other noteworthy ones such as DÉLiCE La Brasserie at Sofitel Munich Bayerpost, Relish Restaurant & Bar at The Westin Grand Hotel Berlin, Sophia's Bar at The Charles Hotel in Munich, Käfer Dachgarten Restaurant at The German Bundestag or Reichstag building and Käfer Bistro at Munich Airport Terminal 2. Occupying the former Bavarian Royal Post Office, Sofitel Munich Bayerpost is a stone's throw away from Munich's main railway station – München Hauptbahnhof. During the day, DÉLiCE La Brasserie is brightly-lit by sunshine streaming in from the tall windows and reflecting off the high mirrored ceilings. At night, the French restaurant is dimly-lit by reflected soft lightings. 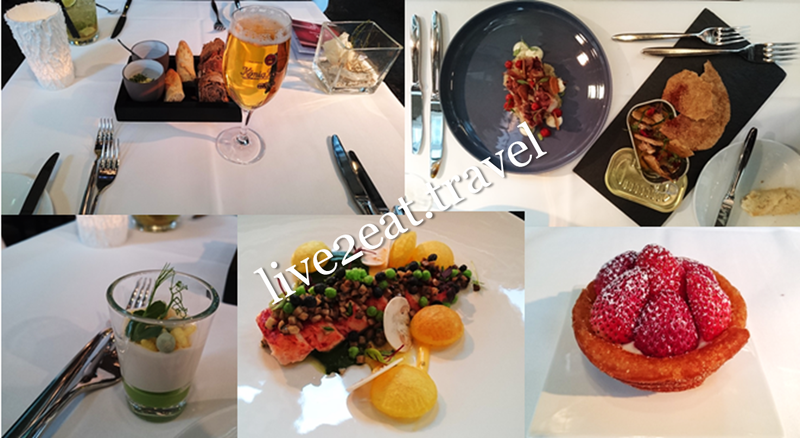 All the dishes we ordered were elegant in presentation, taste and texture including the amuse bouche. Was blown away by the recommended octopus (could not decide between this and the baby squid) sitting atop sauerkraut, as it was the best I have tasted so far in my life. Yes, it is that good.